So when is your kid really too old to duck the subway turnstile? 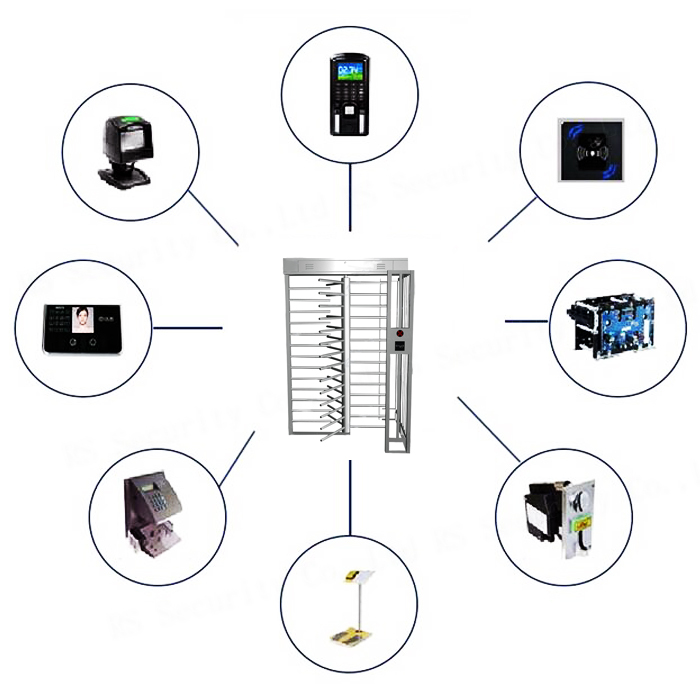 Full height Turnstile is an integration of mechanism, electric, mic-controller and various kinds of reading and writing technologies. It is used to control and manage passages smart by working with different kinds of readers and writers, reliable protection equipment, real-time alarm and direction guide. And our full height turnstile has standard electrical interface which can be connected with barcode cards, IC cards, ID cards, magnetic cards conveniently. Also our products can satisfy the requirements of fire-control. 1. The entire system runs smoothly, with a small noise and free of mechanical impact.The system adopts the exclusive technique of. double cam. As a result, the Security Turnstile is more accurate and reliable for zero point locking and unlocking. 3. It has failure self-detect and alarm indication function, facilitating maintenance and application for the users. or reading card in a way while barring in the other, or read card in a way while free passage in the other. More over, the operation mode of turnstile may be set up with the built-in small keyboard. 5. It has automatic function of opening or closing when power off. 6. The equipment is provided with a unified, standard electric interface and is available to be integrated with various read/write facilities to facilitate the system integration. It is able to realize far end control and management with the help of administrative computer. 7. It has a function of reading card with or without memory, and it may be set up with the built in small keyboard in accordance with the requirements of the users. the locking time can be setted, and unlocked by the card. 11. Prohibiting illegal passing, the turnstile without the card, the locking time can be setted, and unlocked by the card. 12. Antihit against function when the turnstile touch the passing people, it will stop and after several seconds, it will turn again. 13. Self resetting function the system will cancel the people passing right when reading the card but not passing, the time can be setted. Looking for ideal OEM Turnstile Door Manufacturer & supplier ? We have a wide selection at great prices to help you get creative. All the OEM Turnstiles Doors are quality guaranteed. We are China Origin Factory of OEM Turnstile Gate. If you have any question, please feel free to contact us. Copyright © 2019 RS Security Co., Ltd. All rights reserved.